Whether you’re a straight up long black chick, a classic latte babe, or more of an iced coffee kinda gal, we all need our coffee fix on the daily. And what goes better with coffee than a warm, fresh bagel? Here at the M2 office we’re obsessed with both coffee and bagels, even though our bank balances might not agree with this love affair as more than a fortnightly treat. Luckily for us we’ve found the most incredible combination of our two passions. Two words: Caffeinated bagels. What more could you want? It makes the quick and easy breakfast combo even quicker and easier by fully combining the best bits! The bagels contain only about a third of the amount of caffeine (32mg) that a regular cup of coffee does though. But we feel that’s just only more reason to eat a whole pile of them. Aptly named the “Espresso Buzz Bagel” these bad boys are no ordinary breakfast snack, they even have 13g of protein and are a great source of iron and magnesium. Just what you need to kick start your day! Unfortunately for us here in little ol’ New Zealand, these bagels are only offered in America by the Einstein Brothers. They freshly bake these, and all their other bagels, everyday in their stores. This means that their bagels are as fresh and delicious as possible. 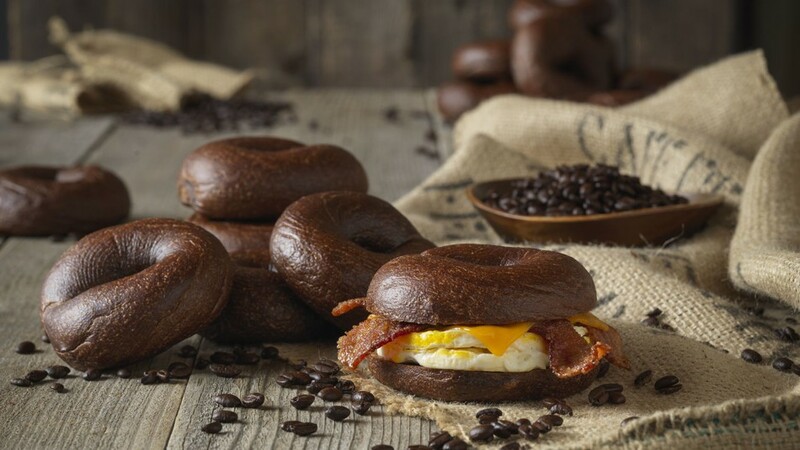 I know we’d be keen to try these out so I guess we’ll have to make a trip over to get our coffee and bagel fix. I’m sure it’ll be worth the trip! If you’re already in the United States then you should definitely go check them out. Not only do they do caffeinated bagels but they have all sorts of other delicious flavours. We like the sound of Savory Parm, Apple Cinnamon, and Cheddar Jalapeño. Sounds absolutely delicious! !